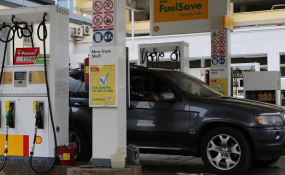 Parliament was last evening recalled hours after President Uhuru Kenyatta received a bill seeking the postponement of the imposition of 16 percent VAT on fuel. An address by the president to the nation today is expected to precede the announcement of his reservations against the bill. This means Kenyans will continue digging deeper into their pockets as the cost of living continues to rise, dampening growth prospects for the country. Following the move by the President, Speaker Justin Muturi issued a notice of a special sitting on Tuesday and Thursday next week through a Special Gazette Notice, recalling MPs from their recess. “Pursuant to the provisions of Standing Order 29(3) of the Standing Orders of the Members of the National Assembly, it is notified that Special sittings of the Assembly shall be held in the National Assembly Chamber in the Main Parliament Buildings, on Tuesday, September 18 and on Thursday, September 20,” Mr Muturi said in his notice, quickly circulated on social media. National Assembly Majority Leader Aden Duale told the Nation MPs are expecting the president’s reasons for sending back the Bill to Parliament today at 10am. “The President received the Bill last night, will consider it overnight before addressing the nation tomorrow,” Mr Duale told the Nation. Jubilee MPs are also expected to hold a kamukunji today whose discussions will involve the possibility of a supplementary budget or reassignment of funds to make up for the revenue shortfalls. The Finance Bill seeking to suspend implementation of VAT on petroleum products had been presented to the Head of State yesterday. And now that the President has sent it back to Parliament, MPs may amend the Bill in light of the President’s reservations or pass the Bill a second time without changes. If Parliament amends the Bill fully accommodating the President’s reservations, the Speaker shall submit it again to the President for assent. In passing the Bill on August 30, MPs deferred the levying of 16 percent VAT for two years, up to 2020. The government has twice deferred the implementation of the tax following public outcry. MPs had blamed Speaker Muturi for the delay in submitting the Bill to the President. “There is no justification at all why the Bill is still in parliament. It should be taken to the President to either assent to it or refer it back to the House with a memorandum. I find it dishonest and immoral for Parliament to continue holding the Bill while people are suffering,” Minority Leader John Mbadi said. Mr Mbadi said the delay in submitting the Bill to President can only be interpreted to mean that Parliament is colluding with the Executive to subject Kenyans to suffering. “The Finance Bill should be presented for Presidential assent without further delay. The President’s silence on a matter of such great importance to Kenyans leaves a lot to be desired,” Homa Bay woman Representative Gladys Wanga said. Uriri MP Mark Nyamita said the matter was serious and should not take long to be acted upon. Mathias Robi (Kuria West) said President Kenyatta should assent to the Bill as people are suffering. The technical committee formed last week comprising officials from the Treasury and the leadership of the National Assembly to look into the imposition of the VAT is yet to find a solution despite several meetings, including one at State House on Wednesday. On Wednesday, Treasury Chief Administrative Secretary Nelson Gaichuhie told a Senate committee on energy that postponing the implementation of the act is not a solution.